Just a little over an hour drive from Atlanta is the magical southern oasis of Barnsley Resort. 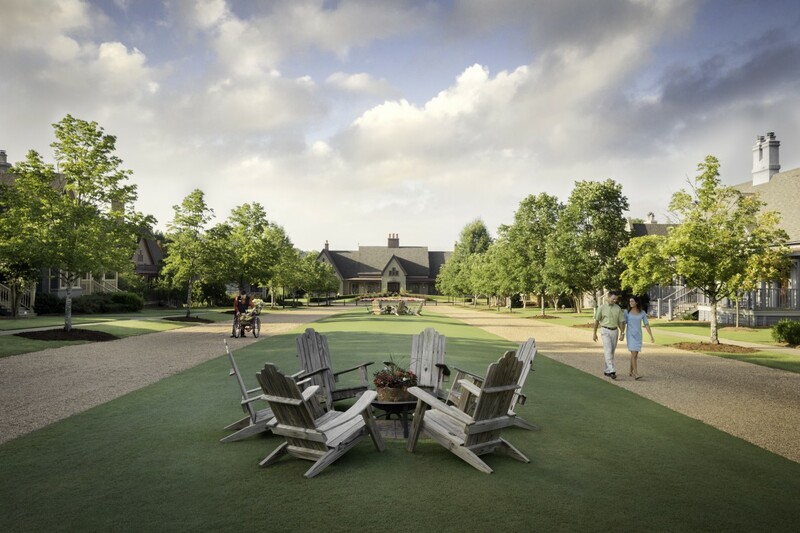 Located in the foothills of the Blue Ridge Mountains in Georgia, Barnsely Resort encompasses 3,300 acres of beauty and enchantment. 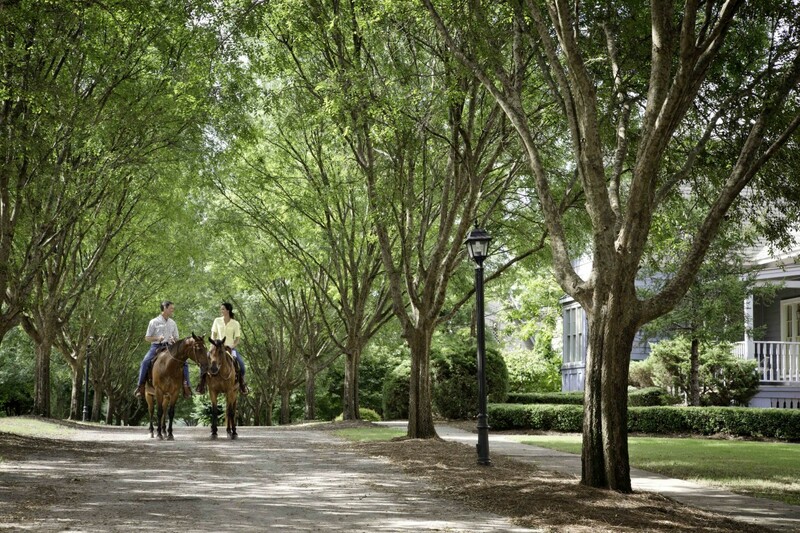 Enter the 19th-century Downing-style village that features cottages with porch swings or rocking chairs, wood-burning fireplaces and so much more. Be spoiled by supreme Southern service, incredible farm-to-table dining, breathtaking grounds and something unexpected at every turn. 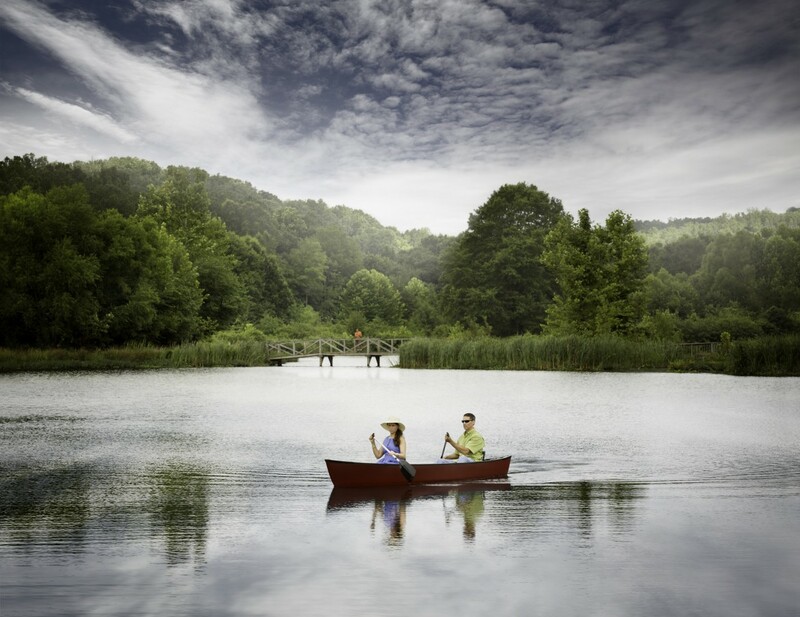 Relaxation comes easy at Barnsely Resort, whether you’re strolling through the village, fishing or canoeing on the property ponds and streams or simply gathering with family or friends by the warmth of the fire. Your biggest decision here is what activity to try next. Enjoy the spectacular scenic views on the challenging (but fun) Fazio-designed 18-hole golf course. You’ll find miles of hiking and biking trails, horseback-riding rails, canoeing, kayaking, fly-fishing andcast-fishing on the resort’s 10-acre lake. Barnsley is a true sportsman’s paradise, with a sporting clay course, Caesar Guerini Shooting School and instruction and an 1,800-acre hunting preserve, SpringBank Plantation, home to quail, pheasant and turkey (for in-season hunting). The resort also features paintball, a saltwater pool (with full bar, lunch menu and fabulous music) and an intimate 5,500-square-foot spa with steam, sauna and whirlpool as well as poolside fitness center. Opt for the Lava Shell massage, where heated tiger shells are glided over the body with varying pressures, releasing all stress and tension. You’ll feel completely refreshed and rejuvenated. 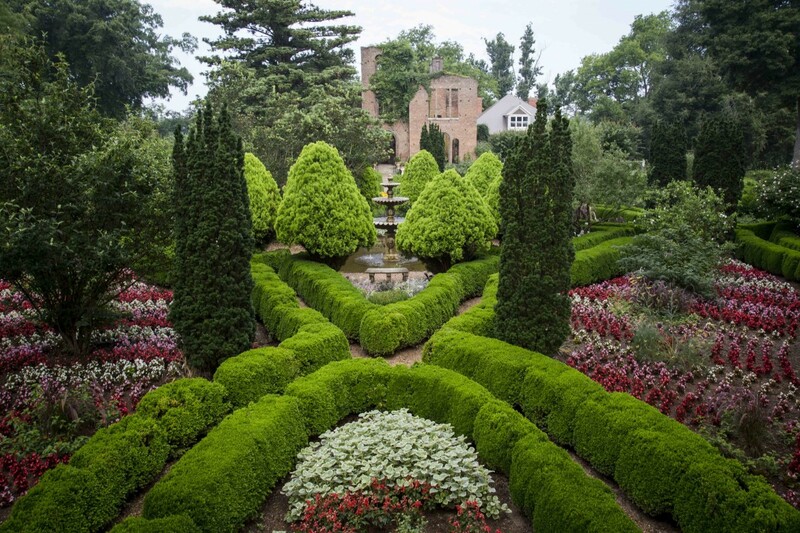 Head to The Ruins, a historic 19th-century manor house. This gorgeous location is ideal for romantic private dining, weddings, events or just a simple Sunday morning walk. Outside, you’ll find the woodland heirloom gardens with outdoor fountain made in India to replicate the fountain found in the Barnsleys’ original garden. Tour the museum founded by local historian and author Clent Coker for intriguing Barnsley tales. Since the early 1950s Clent has spent much of his life collecting and preserving the property’s history and artifacts. The Woodlands Grill is open daily for breakfast, lunch and dinner and hosts scenic views overlooking the golf course. Be sure not to miss the Green Smoothie with honeydew, spinach and cucumber, Yogurt and Fruit Brule (a combination of yogurt, fresh fruits and granola with a brule on top), or, if you want to splurge, indulge in the Bourbon Georgia Pecan Waffles. For lunch, choose The Julia: fresh greens with trout and a lavender vinaigrette. At dinnertime, don’t miss the Grass-Fed Filet with Bacon Mac and Cheese. Relax at the casual outdoor Beer Garden that offers sandwiches, paninis and an extensive list of craft beers. Plan one dinner at the Rice House, located in an 1840s farmhouse. Each course is more amazing than the next, with an extensive, unique hand-picked wine list. For great company and impeccable wine parings, be sure to meet the knowledgeable “Wine Snob” while you’re there. When you think of a fairy godmother, you think of an animated character from Disney. At Barnsley Resort, she’s alive and well and ready to make all your dreams come true. She calls herself “a concierge on steroids.” This resort’s fairy godmother (in her 15th year on the property) will delight and romance couples and young guests. She even has her own Woodford Label: The Fairy Godmother blend. “It is just about stepping back from your life for a moment of time. I can create a venue in your room while you are at dinner. If you love the islands and haven’t had a vacation in a while, I can turn your room into an entire island or beach,” she says. Choose from the Ultimate Love Spell, where your room will be strewn with rose petals as well as lit with tea lights, candles, Champagne on ice and more. Or select the Kiss Me in the Garden package, where you’ll be whisked away to a private garden picnic to enjoy surprises at every turn. Fairy Godmother will assist in making your child’s stay as magical as it can be, too. She will customize a welcome package that is sure to start off your child’s stay in imaginary ways. Allow her to slip into your room (while you are at dinner) and create a children’s dreamland. She bases themes around books and decorates your room, brings fresh fruit parfaits made with yogurt, sheets that match the theme and even a toy to take home. This is a message to the admin. Your Barnsley Gardens- Expect the Unexpected. – Healthy Travel MagazineHealthy Travel Magazine website is missing out on at least 300 visitors per day. I have found a company which offers to dramatically increase your traffic to your site: http://home.puke.se/u/2qdzThey offer 500 free visitors during their free trial period and I managed to get over 15,000 visitors per month using their services, you could also get lot more targeted traffic than you have now. Hope this helps Take care.